Forget tall bottles of beer to accompany your zi char. We’ve got a better idea: craft cocktails. 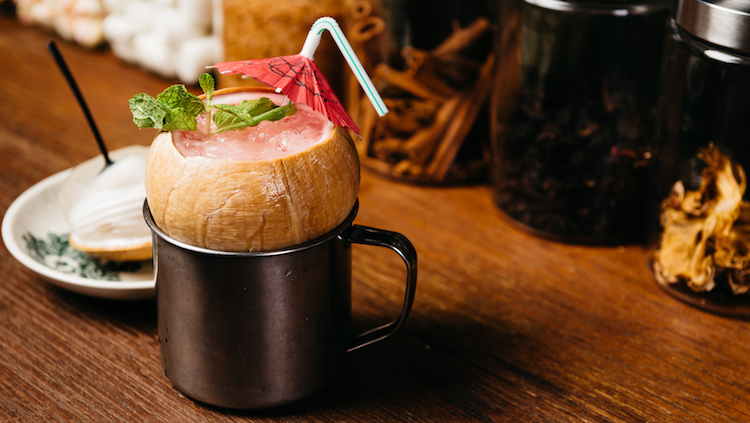 Come March 18, rock up – in your flip-flops and singlets – to Park at Holland Village Park as we transform the bar into our kopitiam-styled Jio You Cocktail Club as part of the Singapore Cocktail Week. 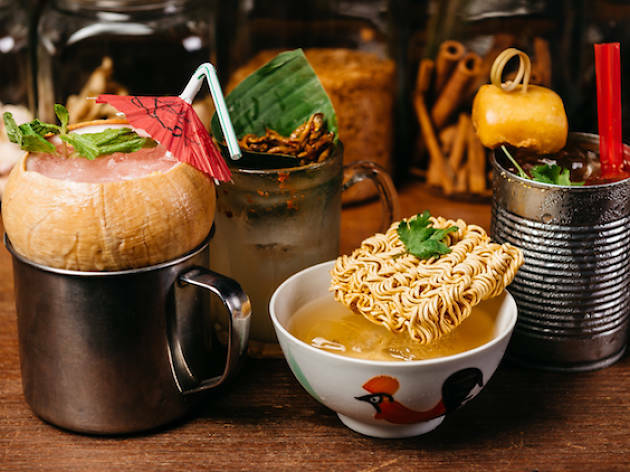 We’re partnering Diageo Reserve World Class and Steve Leong from Tess Bar & Kitchen to shake up damn good drinks, inspired by hawker fare, in a damn relaxed setting. 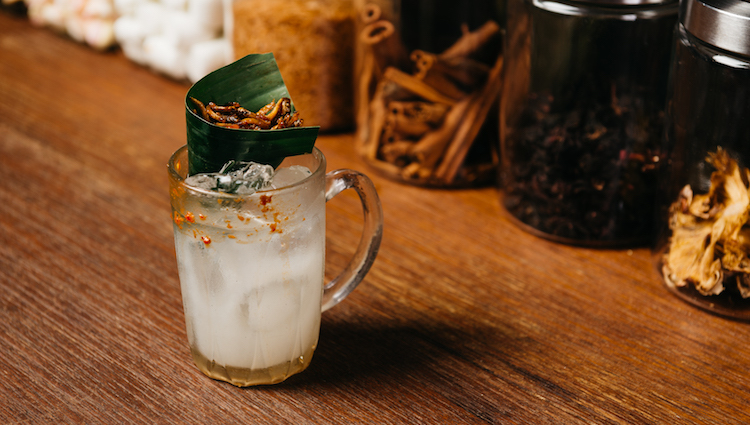 It's what we imagine an alternate, yummier future of kopitiam drinking to be like. Here's a preview of the drinks on offer. EDIT: Due to overwhelming response, we're taking over PARK at Holland Village. 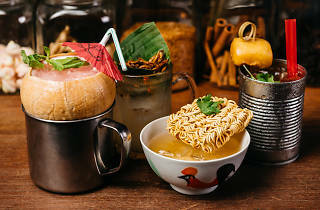 We're transform the lush bar into our kopitiam-themed Jio You Cocktail Club as part of the Singapore Cocktail Week. 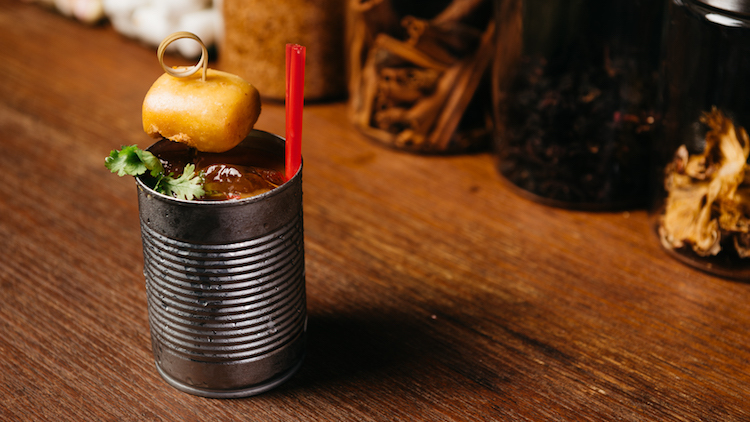 Leong is all about making local dishes into drinks you can quaff. Here, he matches chilli crab paste, salt and pepper, sundried tomatoes, orange juice, and lemon with Don Julio Reposado tequila to create a cocktail with a refreshing, savoury snap. In this nostalgia-tinged cocktail with amazing complexity, Bandung spiked with warming Ron Zacapa 23 rum tastes first like a tropical tiki cocktail, and then the scent of rose syrup rushes in. This drink comes with a side of coconut jelly. This power-packed Tanqueray 10 gin drink, named after the street on which Tess Bar is located, has lemon, and pandan- and coconut-infused barley water in the mix. A smear of sambal on the rim adds spice as you savour. 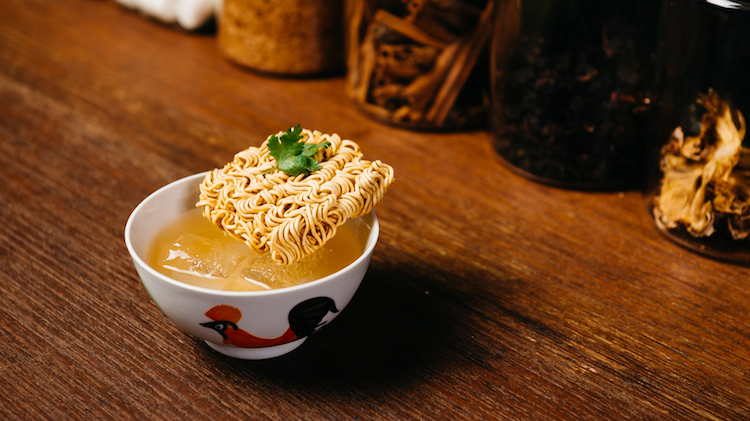 Leong served this up for the judges at the World Class 2015 finals in Cape Town, South Africa, and features Haig Club whisky flavoured with prawn noodle syrup, orange bitters, and some Mamee noodles to snack on. Entry is free to the event, and a limited number of Singapore Cocktail Week wristband holders will get a free welcome drink at the kopitiam.